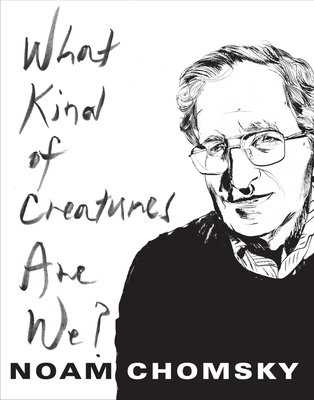 Noam Chomsky is widely known and deeply admired for being the founder of modern linguistics, one of the founders of the field of cognitive science, and perhaps the most avidly read political theorist and commentator of our time. In these lectures, he presents a lifetime of philosophical reflection on all three of these areas of research, to which he has contributed for over half a century. In clear, precise, and nontechnical language, Chomsky elaborates on fifty years of scientific development in the study of language, sketching how his own work has implications for the origins of language, the close relations that language bears to thought, and its eventual biological basis. He expounds and criticizes many alternative theories, such as those that emphasize the social, the communicative, and the referential aspects of language. Chomsky reviews how new discoveries about language overcome what seemed to be highly problematic assumptions in the past. He also investigates the apparent scope and limits of human cognitive capacities and what the human mind can seriously investigate, in the light of history of science and philosophical reflection and current understanding. Moving from language and mind to society and politics, he concludes with a searching exploration and philosophical defense of a position he describes as "libertarian socialism," tracing its links to anarchism and the ideas of John Dewey and even to the ideas of Marx and Mill, demonstrating its conceptual growth out of our historical past and urgent relation to matters of the present. Noam Chomsky is Institute Professor emeritus in the Department of Linguistics and Philosophy at the Massachusetts Institute of Technology and Laureate Professor of Linguistics and Agnese Nelms Haury Chair in the Program in Environment and Social Justice at the University of Arizona. He is the author of more than one hundred books, including The Science of Language (with James McGilvray, 2012) and Requiem for the American Dream (2017).